It is that special time of year when a geeks attention turns outward. When they start to take notice of other things. Yes it the start of the convention circuits (which lasts about 6 months). Typically we here at The Gameslave cover two of the years conventions, but this year will be different. This year we are going to attend a 3rd convention, and this one will be in its first year. For the new reader you may be wondering what conventions we cover, and that is what we are going to cover on This Weeks Geek. The first convention that we plan to cover this will be E3 which is put on by the ESA (really hope you already knew that). Happening this year between June 5-7 we are pairing back down to just two attendees (IrishPride and myself). We will be taking the show in slowly this year. While we do not have all the press connections that big boys do, we will still report on as many games as we possibly can giving our unique view point as well as what looks to be our favorites. Will Bioshock: Infinite rule the show, or can Assassins Creed III pull things to their corner for most anticipated game seen at E3. Personally I am hoping to see more on Overstrike, but not going to hold my breath. Comic Con has become a stable all over the country. The two big ones being located in San Diego and New York always made you travel across the country to visit one, but not anymore. Starting this year Denver will have its very own Comic Con between June 15 - 17. For their first year they are doing things right so far. With a blockbuster cast of guests coming to attend we can be promised a truly fun weekend. So far (and they report more to be announced) we have Billy West (Futurama), Tom Cane (Star Wars: The Clone Wars), Greg Weisman (Gargoyles), Wil Whaton (super geek), Kristen Baur, and many many more. And they have not even announced events yet! I will put a full guest list in a different post later. I feel to list them all here would be a bit over kill. If you don't want to wait for my post to see all the great guests you can check it out yourself at http://www.denvercomiccon.com/ along with how you can attend. 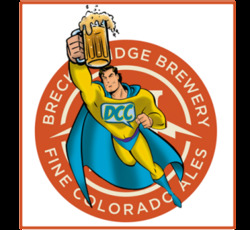 While you are there don't forget to try the fan named beer made specially for the event by Breckenridge Brewery. The first convention that we started to cover over 6 years ago and one of my favorites, NDK is the premier anime convention of the Rockies. This year it is being held on September 14-16 and, having already sold out of the hotel it is actually held in, we can expect another jam packed year of fans and cosplay. With regular guests such as Patrick Seitz (Isshin Kurosaki in Bleach) and Steve Run (Robotech co-producer) that run their own panels such as "Come to Denver and See the Seitz" and a (obviously) Robotech panel in addition to Q&A sessions this is a not a convention to miss. Attendee panels are normally pretty laid back and run the gambit from the Origin of Magical Girls to Board games (which they have a dedicated room for) to making costumes. Add these to their video game room, AMV Contest, Battle of the Rock Bands, Costume Contest, and art/model show there is something for every geek. If you feel that you want to go and have not reserved a room fear not, the overflow hotel (12 minute walk) is still available at this writing and they do have a special deal. Head to NDK's announcement on it for details. And there you have it. E3, Denver Comic Con, and NDK are on the schedule for this year. Is there anything special at each convention that you want us to cover? Speak out and let us know.